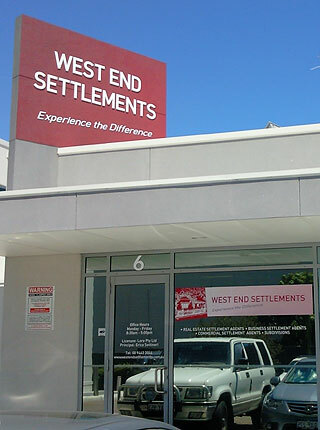 West End Settlements are an independent settlement agent located in Perth whose main priorities are to ensure our clients are always treated with honesty, courtesy and respect. You can have confidence in our ability to deliver exceptional settlement service, and to provide you with peace of mind at all times. We have vast and accumulated experience and knowledge of the settlement industry with two of our main agents being Licensed Real Estate and Business Settlement Agents and with another employee completing her license at the end of this year. When buying a property, a settlement agent is responsible for the preparation of the necessary paperwork to change the name on the title deeds of the property from the sellers name into your name. The agent can organise any adjustment of water and shire rates, and co-ordinate all other settlement issues with the various parties on your behalf. If you are waiting on finance being approved, the agent will search the Certificate of Title with the Department of Land Information and provide you with a copy Certificate of Title and any encumbrances registered over the title when the offer becomes unconditional. They Liaise with Real Estate Agent and seller's settlement agent, confirm the deposit has been paid to the Real Estate Agent, and obtain a copy finance approval letter from Real Estate Agent. Contact us today and we will explain step-by-step exactly how we can help you with all you settlement issues. Property settlements can be a complex and time consuming task, and each settlement has its own requirements. So while it is legal for you to attempt to settle your own property, the Department of Commerce advises against this. Our settlement agents are able to deliver a timely settlement for you and ensure that your transaction runs as smoothly as possible. West End Settlements have the experience to overcome any obstacles that may arise throughout the transaction. The clients' best interests are our foremost priority and each settlement is handled individually and solely to meet the clients' needs. It is the mission of West End Settlements to provide continuous service of the highest quality throughout the term of even the most complex project. As one of Perth's leading settlement agents we have succeeded in developing long-term business relationships by meeting our clients' specific settlement needs in ways which are individual, innovative and professionally sound. Contact us today if you are about to buy or sell a property, or if you want a quote, find out how competitive our settlement services are.